So I decided to re-install Windows, and while I was at it, I got rid of my FAT32 partition and switched it to ext3. Not really much point in keeping a partition to share stuff between Windows and Linux when I don’t do anything in Windows any more. Re-installing was quite easy, if a little time-consuming. It took about 2 hours, and of course I had to repair GRUB afterwards, because Microsoft like to take over the MBR. But that was as easy as firing up a live CD and issuing a few GRUB commands. There were the other usual minor annoyances of course: by default, my network card(s) aren’t recognised, so I had to download a driver in Ubuntu and then reboot into Windows to install it; and I had to reboot Windows multiple times to get all the other various drivers installed. But now I have a clean Windows installation, so I can just keep it that way, and play a few games. A few weeks ago I got a PC upgrade at work. My new PC is pretty much top of the line: nVidia 8800 GTX, 3GB of RAM, and 8 CPU cores. It’s pretty nifty. Which makes it all the more incredible that Outlook 2007 is literally the slowest, poorest-performing application I’ve ever had the misfortune to have to use. I am fully up to date with all the service packs which claim to improve its performance, but they don’t help. I’ve disabled all superfluous add-ons, and RSS feed functionality. The bottom line seems to be that if I want it to run anywhere approaching acceptably, I need to make my mailbox (pst file) smaller. To accommodate new features, Outlook 2007 introduced a new data structure for .pst files and for .ost files. In this new data structure, the frequency of writing data to the hard disk increases as the number of items in the .pst files or in the .ost files increases. Note You cannot create a .pst file or an .ost file without this new data structure. What? I mean, what?! Google can search over 8 billion web pages in a small fraction of a second, but because of this boneheaded decision, my spiffy PC takes literally over 5 seconds to change folders in a mail store on my local hard drive? Did everyone at MS somehow think that mail stores were not going to get any bigger? So because of this, I have manually split my pst files. I’ve taken my files that were organised by subject matter and have been more or less forced to break them down further by time period, which amounts to almost a completely arbitrary form of division. Well, at least I’ve still managed to get Lookout to work. I suppose that’s something, anyway. No thanks to MS. Yesterday I spent the day at Microsoft. I flew up on Wednesday night, out of LAX at 6.30pm, and it was a beautiful evening. As we took off over the Pacific, we passed over a small bank of stratocumulus and banked north, flying over Malibu and the mountains. Two hours later we passed Mt Rainier, Mt St Helens, and Mt Baker on our descent into Seattle-Tacoma airport. The cab ride to the hotel was $57. The Seattle area is very spread out, it seems. We arrived at about 9.30pm – just in time to have the hotel shuttle give us a ride to Red Robin where I refuelled with a burger and a chocolate malt. Returning to the hotel, I was directed to the third floor to find my room, 324. I went down the corridor and saw 321, 322, 323, … 325?! My room didn’t exist! Returning to reception I discovered it was in the other building. For some reason the numbering was weird that way. Whenever I go on business trips, I always stay up late watching movies in bed – and Wednesday was no exception. The Matrix Reloaded was on late, and I got to sleep around 1.45am. After breakfast (fruit/nut waffle & OJ) at the restaurant next to the hotel next morning we headed to the Microsoft Millennium campus, and spent the whole day in a 20×10 room with 25 PCs and about 20 Xbox 360s (and surprisingly effective air conditioning). We were there to do profiling and performance testing on our game. We got lunch delivered – Indian – and worked right up to the wire at 6.30pm when a “town car” (local cab/limo service) arrived to take us back to the airport ($63). Touched down LAX at 11.20pm or so – the approach is fantastic at night: LA looks like Xmas lights. Taxi back to the office to my car, and finally crawled into bed at midnight. Yes, I ordered the most expensive thing on the menu. The Windows Vista EULA has been in the news a bit today. It contains several worrying features. Other sites were complaining about how it allowed just one re-install on different hardware; that is now fixed. So you can upgrade more than once and transfer it. There has also been some complaint about the clause that effectively censors benchmarking of .NET 3.0. And the prohibition of running the Home editions in a virtual/emulated environment is a real blow to web developers. Of course, there are all sorts of DRM restrictions, and it has mandatory activation (WGA) too – this is also shortly on the way for MS Office in the form of Office Genuine Advantage. So, there are all sorts of bad things there. But the one that caught my eye I have not seen mentioned on any other site. It says: You may install one copy of the software on the licensed device. You may use the software on up to two processors on that device at one time. That’s it. Maximum of 2 processors. Just when Intel and AMD are ramping up their processor count. Now there is a question in my mind whether this means physical chips or just cores on the same die. And can Windows tell the difference? It doesn’t seem to distinguish right now. This is a concern because it might really fragment the games market. What will happen if one tries to run a game on Windows Vista on a quad-core machine next year? Will Vista allow creation of 4 hardware threads? What about an 8-core machine or a 16-core machine in 2008 and beyond? The EU has to back up its threat with action, and soon. The verdict is not so different to that of the US DoJ. But the eventual outcome of that case proved the DoJ toothless – where are they now? Now the EU has a chance to prove to the world that it can make a verdict stick. At some point, you have to draw the line for appeals and further legal quagmiring. You can’t just keep going back to court for another try because you didn’t like the outcome. The only remaining question is: is $1bn a year a fair price for locking up APIs to preserve your monopoly? Time will tell. 7-zip – for dealing with .zip, .rar, and all other archives. nVidia drivers – I ditched ATI a while back because their Linux driver support is poor. Ad-Aware SE Personal edition – but I seldom get many hits with it. Adobe Acrobat Reader – I figure under Windows it’s a decent choice. Free-AV Antivirus Software – one of the few AV programs I’ve used that treats me like an adult. Bittorrent – yeah I’ve heard of Azureus and other clients but plain old BT does everything for me. CDBurnerXP Pro 3 – good free alternative to Nero/Roxio or some sort of bundled-with-the-drive software. DirectX SDK – because I’m a games programmer. Firefox – I’m tempted to try Opera 9, but not sure what it adds to my average browsing experience. Gaim – nice free multi-protocol IM client. 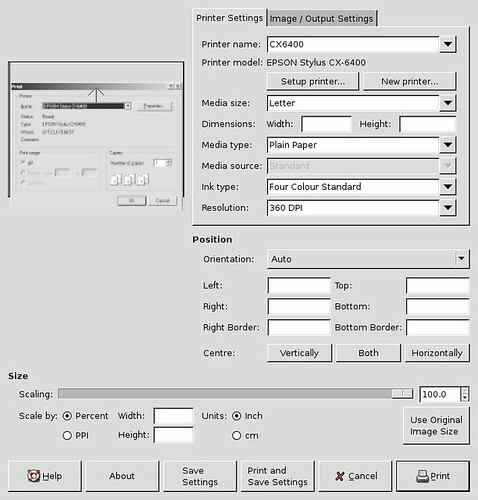 GIMP – my alternative to Photoshop and Paint Shop Pro. Ghostscript & Ghostview – for viewing postscript files (such as papers from the web). Inform 7 – I’m playing with it. MSN Messenger – only because Gaim’s support for video conversations is still poor (MSN Messenger seems to have been replaced with Windows Live Messenger). Java Runtime Environment – for all sorts of stuff (e.g. OpenOffice). Lisp in a Box – another thing I’m playing with. nForce drivers – for my motherboard. Notepad2 – everything that Notepad should have been. OpenOffice.org – although I can get MS Office for $20 from work, I use OOo. Putty – because the Windows telnet client pushes the lameness envelope. SB Live! Drivers – it’s on my MB; I didn’t buy Creative by choice. Spybot Search & Destroy – a counterpart to Ad-Aware SE. Vidalia bundle – which encompasses Tor and Privoxy for anonymous web browsing. Creative webcam driver – just because I have that kind of webcam. MS Visual Studio – I’m a C++ programmer. Cisco VPN Client – for working from home. Anapod Explorer – who needs iTunes? Well, I reverted my Windows XP x64 to Windows XP Home. Unfortunately, in the process, something in the Windows installer decided to wipe out my existing FAT32 partition (the one where I keep all my data files, mp3s, etc). I’m not sure what happened; I didn’t see any reformatting going on or anything. All I know is that after installing WinXP onto the existing NTFS partition, the FAT32 partition was no more. Both WinXP and Ubuntu reported no partition there. I wondered whether it was just the partition table info that had been wiped, so I reinstated it as before, but the disk is blank. So I will have to restore from backups – what a pain. I am now, at home, a mostly exclusive Linux user. There are now only 2 or 3 things that I boot Windows for. And I’m finding now that for many things, Windows is now a burden and in fact less powerful and (which is more significant) less easy than Linux. Now I know what you’re thinking: you’re thinking I’m talking about compiling a GTK library, or sorting my email, or bittorrenting, or any one of a hundred other geeky tasks that I do. You’re thinking: he can’t mean something that normal people do, like playing videos, listening to music, browsing the web, etc. Or like printing pictures from a digital camera…? How do Windows users cope with this? These dialogs are from the same piece of software! 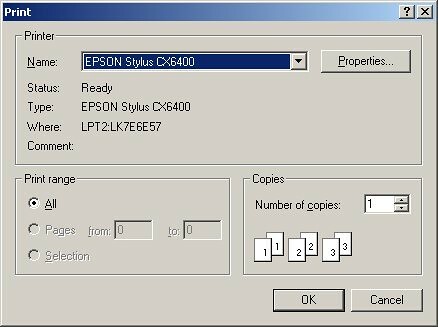 Yet Windows is very lacking in control over the printing. Last night I dreamt that the IT guys at work took my home PC and “upgraded” it with Windows Vista. They didn’t seem to understand that I don’t use Windows – my remonstrations fell on deaf ears. In other news, I spent the weekend playing with fractals. When fractals were first popular, I was a teenager and I wasn’t yet a serious programmer. Sure, I played with Fractint, and I read Chaos, but I didn’t really get it then. It’s one thing to look at pretty pictures and at some level blithely accept that there’s some maths behind it. It’s quite another to actually write a program and really see that some very simple code is producing something with infinite complexity. I spent a couple of hours adjusting my program and just exploring the Mandelbrot set and corresponding Julia sets. You are currently browsing the archives for the Windows & MS category.